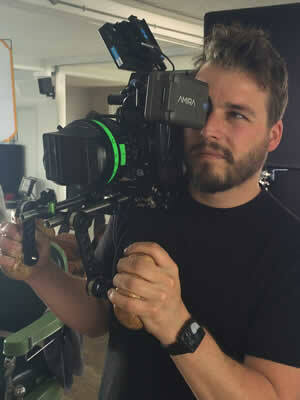 Pedro is a cinematographer, camera operator and director (self shooting) based in Canberra and Sydney. He was born and raised in Lisbon. London was home and where he worked for ten years until he moved to Australia in 2018. He is available to work nationwide and internationally. Pedro holds a Portuguese passport, making him able to work in any EU country without the need of a Visa. Creative visual storyteller for agencies, production companies, filmmakers, musicians, artists and anyone that has a desire or need to be seen or heard. His work varies massively from tv series, commercials, promos, documentaries or music videos, but whatever it is he’s shooting, it receives his undivided creative attention. Where possible, he always likes to be in on a project from the conception phase as it allowed him to understand and create the best possible way to tell the story. It is this that kept directors, clients and production companies coming back for so many years. Every story requires its own treatment and whenever he’s presented with the possibility of a shoot he’s always eager to discuss what that treatment might be. The last couple of years he has worked closely with great advertising agencies (Havas Worldwide, Hangar Seven, Reci.pe and Mr. White). He helped with concepting, executing, and delivering content for brands such as Johnnie Walker, SodaStream, Knorr, Carling Beer, TNT Post, UGG, Tesco, Karen Millen and Boots. Work has taken him all over Europe and through an incredible change in technology and camera formats. His forte is cinematography but he’s been lucky enough to accumulate experience producing and directing. Whether you need one of his services a la carte (cinematography / directing) or a bundle package he’d love to hear from you. Pedro owns a complete RED camera kit with lenses and accessories but is happy to work with any equipment. Please get in touch.